Which Type of Traffic Source Generates More Ads Sales? Which Type of Traffic Source Generates More Ads Sales? Home / Traffic Generation Tips / Which Type of Traffic Source Generates More Ads Sales? Which Type of Traffic Source Generates More Ads Sales? Getting targeted traffic that drives more ads sales and costs as little as possible is the dream of every marketer. With so many traffic generation methods in mind, I’m here to help people find solution to one of the most controversial topics I hear people ask a lot. And this is the issue of paid traffic vs. free traffic. 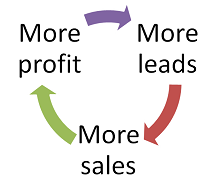 The truth is, everyone wants more ads sales but few are ready to do what will really generate more ads sales for them. In this post, you will be shown the pros and cons of both traffic source. And you can decide which one will really drive more ads sales for you. One marketer will come out with a program that tells how they made millions of dollars without a single cent spent on advertising and the next will come out and say they never worried about organic listings and reached an eight figure income in two years. In reality, there are pros and cons to both sides, and a good marketer will learn how to put both to good use, depending on how you’ve created your campaigns. 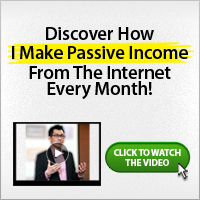 Paid traffic is a powerful traffic source. So many marketers use this a lot. Though not all of them end up making much from it. This is because paid traffic has been making and unmaking millions of marketers over the years. There are different types of paid traffic. Some are Google AdWords, as well as Yahoo! 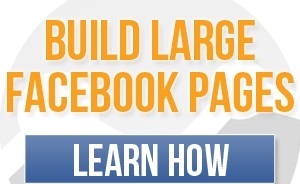 Search marketing and CPM networks where you can post banner ads for a month at a time. And with modern tools, paid advertising is pretty much instant. You can have your ads online immediately and get feedback almost as fast. Moving on to free traffic, these are organic search listings and links from outside sources, for which you pay no money in the long run. Though, you will have to create content and develop links to your site, but once you’ve established listings in Google and other search engines, you’ll be able to move up in the listings and stay there to gain free traffic from your targeted search terms for months to come. So which of the traffic source do you think will generate more ads sales for you? If you have been doing internet marketing for some years, then you’ve probably experimented with both paid and free traffic. Most people find that paid traffic is a great way to get instant traffic and test a new campaign, while free traffic is the long term goal they should always be striving for. Having a recurring source of free traffic is very important as it will allow you to continuously generate sales without having to invest any additional money into your campaign. However, it does require more work on your part. You need to keep building links, keep writing unique articles, and keep monitoring your listings on search engines and all things that paid traffic doesn’t require. With paid traffic, the only goal is to have a high return on investment. As long as you make more money than you spend, you’ll be successful with your campaigns almost across the board. In the end, the best route is to use whichever method fits into your plans at the moment. Short term measurements can gain quite a bit from PPC while authority sites and blogs can thrive with organic search. And at this point, I need you to know that both paid traffic and free traffic are good to bring you more ads sales. You need to know when to use both for your benefit. So which of the traffic source do you use and why? I’ll be glad to know. 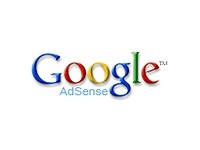 How Do I Start with Google AdSense? What are Binary Options Trading?